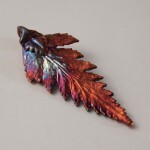 Natural fern pendant finished in autumn rainbow patination. 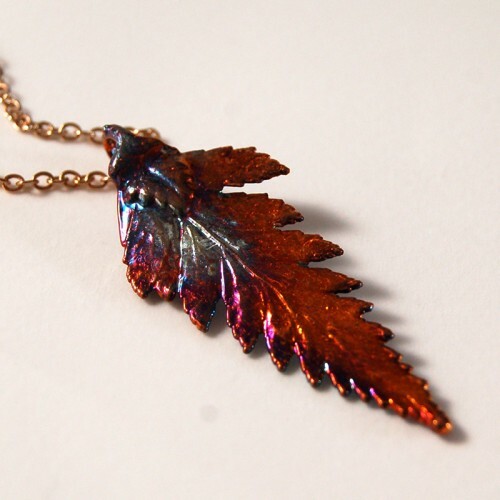 The fern leaf is kept intact and carefully preserved through electroforming, a process where the leaf is slowly encased in copper to give it strength. 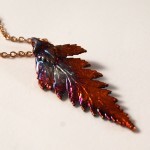 The fern is an important plant to maori culture in New Zealand and is a symbol of of sincerity and truthfulness.